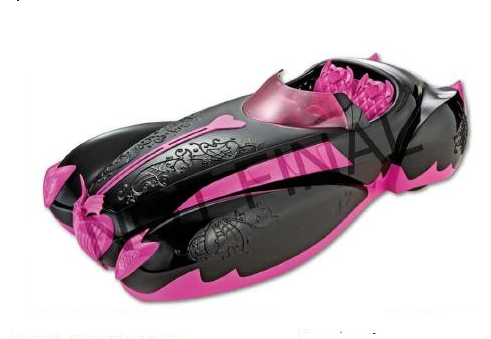 Draculara's car. . Wallpaper and background images in the Monster High club tagged: draculara. "GIRLY BATMOBLIE!!!! YAY!!!!" -quote, my 10 year old little sister.